The minister believes it's an insult on the president to question the authenticity of his academic qualification. 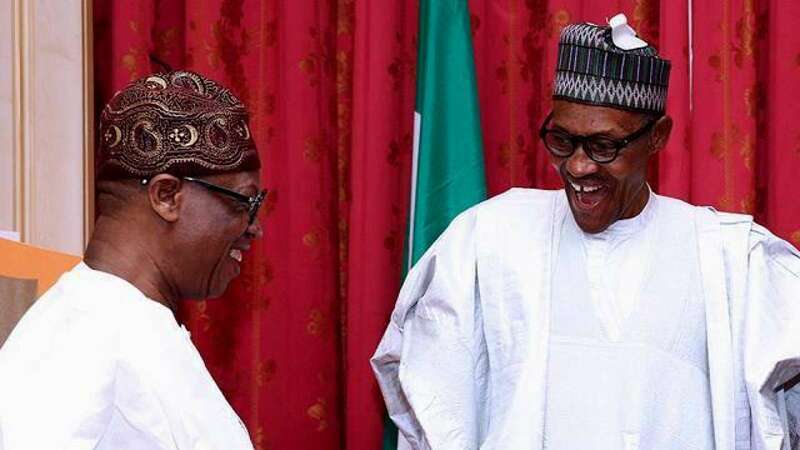 The Minister of Information and Culture, Lai Mohammed, has described the controversy over President Muhammadu Buhari&apos;s failure to present his academic qualification documents as an insult. In the credentials the president submitted to the Independent National Electoral Commission (INEC) to enable him contest in the 2019 presidential election, he failed to submit his secondary school certificate. "I am the above named person and the deponent of this affidavit herein. All my academic qualification documents as filled in my Presidential form, APC/001/2015 are currently with the Secretary of the Military Board as of the time of this affidavit," the president said. Buhari&apos;s failure to submit his academic credentials has raised eyebrows among Nigerians especially because he had a similar problem when he contested in the 2015 presidential election. However, Mohammed believes the outrage over the president&apos;s failure to submit his certificate is a mere distraction that lacks any substance. While speaking on Channels Television&apos;s "Politics Today" on Sunday, October 28, 2018, he said it is a non-issue that&apos;s already been settled. He said, "I think we have moved beyond that. Let me quote what former President Olusegun Obasanjo said in 2015 during this saga of the President&apos;s certificate. "He said that it&apos;s an insult on a man, who rose to the highest echelon in the Nigerian Army, attended the War College in the US and Staff College in Nigeria, for anyone to start asking whether he has a certificate or not. I think I want to rest it there. "We don&apos;t want to be distracted in an issue that&apos;s a non-issue. Mr President served in the Nigerian Army. He has said over and over again, &apos;Please go to the Nigerian Army and ask them to release my certificate. "It&apos;s an insult for a man who has risen to the peak of his career in the Army, has undergone so many courses everywhere; to start asking whether he has his certificate or not." Speaking on Buhari&apos;s hopes of winning re-election next year, Mohammed said the president deserves to win because he has brought honour and respect back to the country and put it on a path of sustainable growth and development. He said, "Today, under President Muhammadu Buhari, Nigerians can, once again, dream and hope because he has rebranded governance and put the country on the path of sustainable growth and development. "He&apos;s rebuilding infrastructure and implementing what can be described as the most ambitious social investment programme in the history of the nation. "He&apos;s ensuring that a few fat cats do not loot the national resources. At the same time, he&apos;s ensuring that Nigeria is self-sufficient in many areas especially in food production. "And above all, he has brought honour and respect back to the country and fighting all forms of insecurity in the country." While next year&apos;s election is expected to be keenly-contested between President Buhari of the All Progressives&apos; Congress (APC) and former Vice President, Atiku Abubakar, of the People&apos;s Democratic Party (PDP), they both face competition from other candidates including Donald Duke of the Social Democratic Party (SDP), Kingsley Moghalu of the Young Progressive Party (YPP), Obiageli Ezekwesili of the Allied Congress Party of Nigeria (ACPN), Fela Durotoye of the Alliance for New Nigeria (ANN), and Omoyele Sowore of the African Action Congress (AAC). Others are Tope Fasua of the Abundance Nigeria Renewal Party (ANRP), Eunice Atuejide of the National Interest Party (NIP), Olusegun Mimiko of the Zenith Labour Party (ZLP), Adesina Fagbenro-Byron of the Kowa Party (KP), Chike Ukaegbu of the Advanced Allied Party (AAP), Hamza Al-Mustapha of the People&apos;s Party of Nigeria (PPN), Obadiah Mailafia of the African Democratic Congress (ADC), and many more.